13 minutes’ walk from Shinjuku-sanchome Station exit C7 on the Toei Shinjuku Line. 16 minutes’ walk from Shinjuku-sanchome Station exit C7 on the Tokyo Metro Marunouchi Line or Fukutoshin Line. 25 minutes’ walk from Shinjuku Gyoen-mae Station exit 1 on the Tokyo Metro Marunouchi Line. 313 minutes’ walk from JR Shinjuku Station’s east exit. 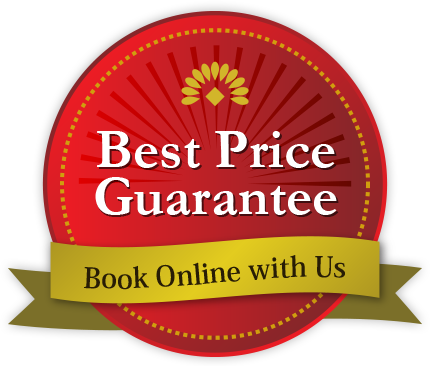 Take advantage of location for your business and tourism. 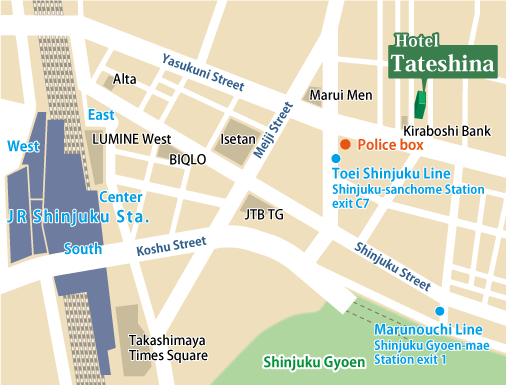 Hotel Tateshina is a business hotel located in Tokyo, 3 minute away from Shinjuku sanchome staiton.